Justice League Action will arrive this November. The first clip from the new Cartoon Network animated series made its way online on Wednesday, and it’s pretty exciting. 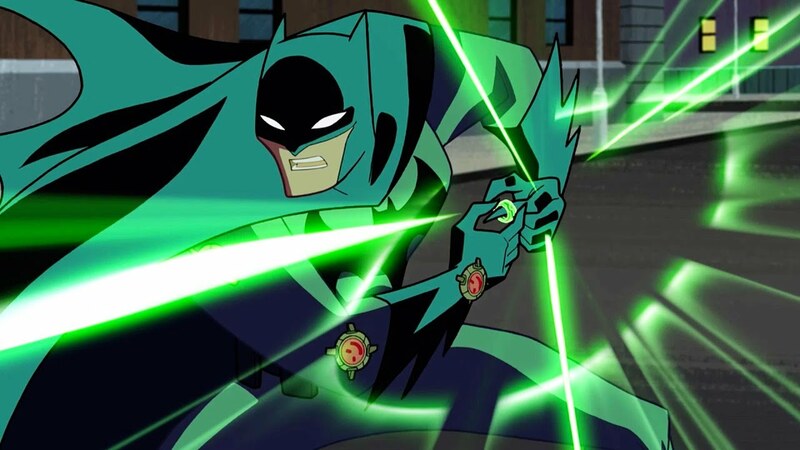 Fans of the 90’s Batman: The Animated Series will see two of our favorite voice actors, Mark Hamill and Kevin Conroy, reprise their roles as the Joker and Batman. Mark Hamill and Kevin Conroy are two of the most celebrated and recognized voice actors in the business. They have become synonymous with the Batman series as they have both voiced Joker and Batman, respectively, for the past 20 years, appearing in everything from the television shows to the video games. The range that Mark Hamill shows in playing the Joker is what makes him one of the best Jokers of all time. His range of laughs, glee, and playfulness over the Joker’s murderous intent serves as a direct foil to Kevin Conroy’s deep-voiced Batman who added that darkness to the Batman that we saw in the comics. The new series on Cartoon Network will be broken up into 11-minute episodes, kind of like what we see on The Regular Show or Adventure Time. However, it will not be like the new Teen Titans show that took Teen Titans and ruined it with dry humor. The show has action sequences, fights, and guns with more cartoony animation that looks marketed towards a younger generation. It will be interesting to see how it is delivered in smaller segments as the old 30-minute episodes allowed for a full story to be unpacked over time. With this show and the Young Justice announcement it seems like Cartoon Network is returning to the action filled shows that were network staples not too long ago. Here’s hoping that it spawns the return of the old Cartoon Network.